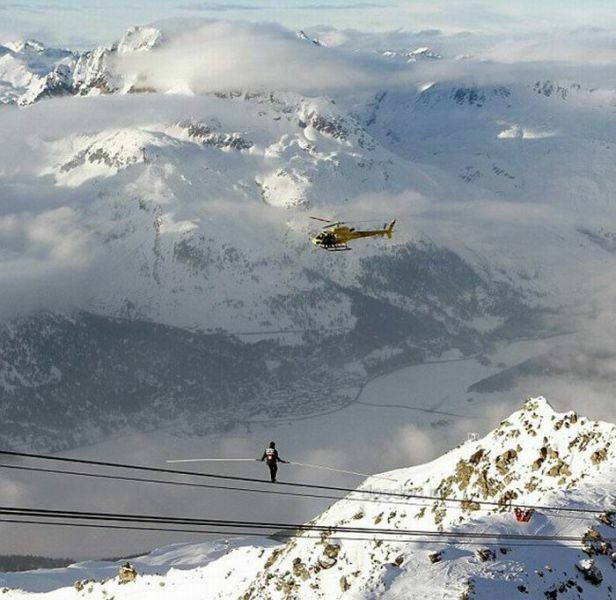 Daredevil and certifiable crazy man Freddy Nock casually walked down a single cable suspended 10,000 feet over the ground. 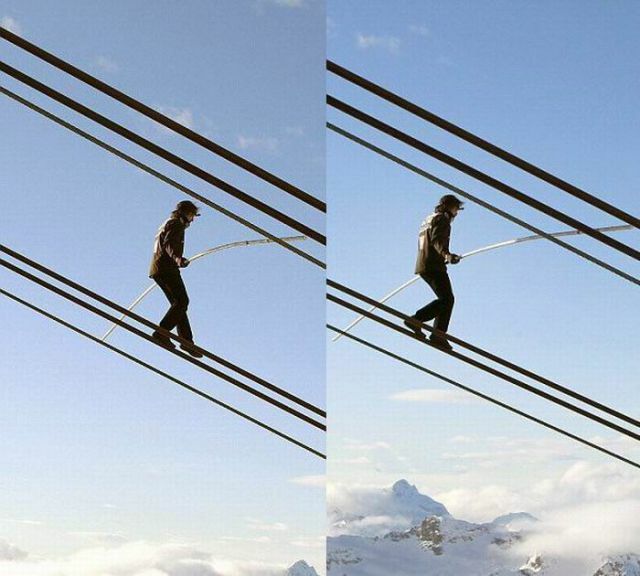 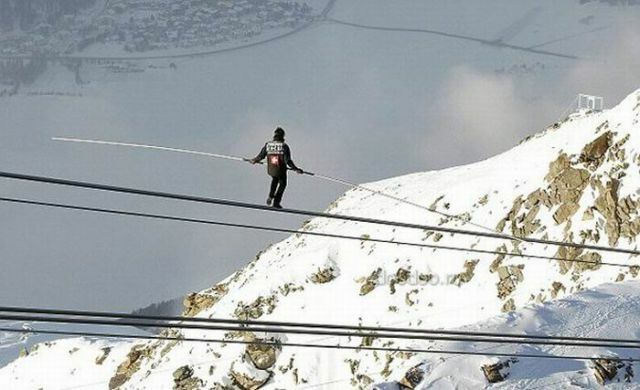 With a long balance stick in hand and his life literally in the balance, he trusted his tightrope walking skills to make it down the Swiss mountain safely. 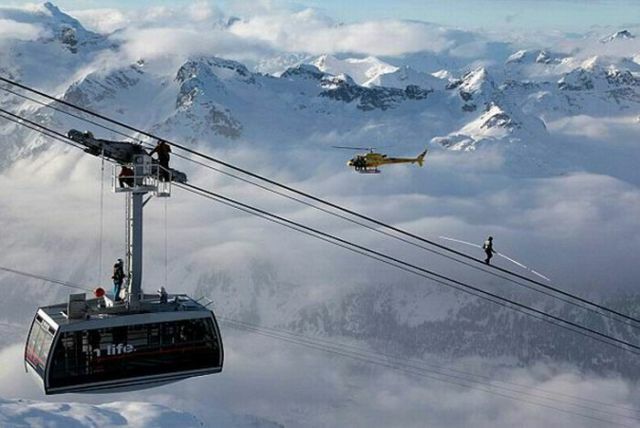 Why not take the lift?